I am so excited to see you here, ok this is how you can upload a part and receive a quotation for the same. 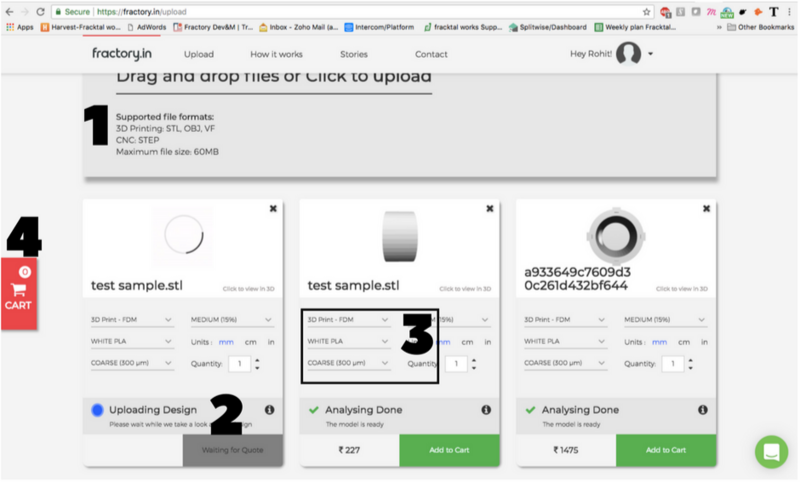 Drag and drop or click to upload a .STL format file and wait for the uploading design prompt, we also accept .obj, .STEP file formats but currently manually quote them. Once the "Uploading design" prompt changes to "Analysing done" that means your file is successfully uploaded and we can quote the same on the backend. 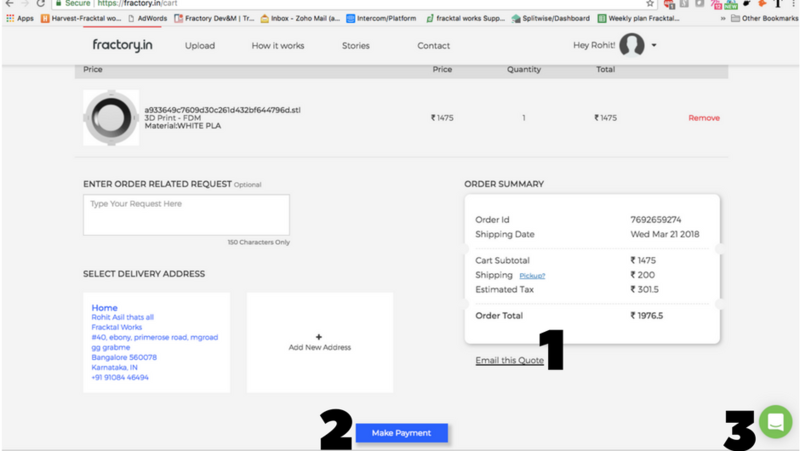 You will see the quote on the same "Job Card" from which you could add to your "Cart"
Or place the order directly by paying online! For any other questions we are right here, click to say hi! For any other queries, we're at number 3!